Scientific breakthroughs from genome-sequencing projects brought the realization that reliable interpretation of the resulting information makes unprecedented demands for innovations in statistical methodology and its application to biological systems. This unique opportunity drives research at the Statomics Lab of the Ottawa Institute of Systems Biology (http://www.statomics.com). For the CIHR Training Program in Neurodegenerative Lipidomics, the Statomics Lab seeks a graduate student who will develop novel methods of statistical inference and collaboratively use them to discover or validate changes in lipid concentration. 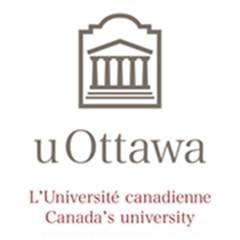 To be considered, send a PDF CV that has your GPA and contact information of two references to dbickel0@uottawa.ca (without the zero) with “statistical lipidomics graduate student” in the Subject line of the message. In the message body, specify the graduate program in which you wish to take courses (either Biochemistry or Mathematics and Statistics) and the degree sought (MSc or PhD). Only those students selected for further consideration will receive a response.